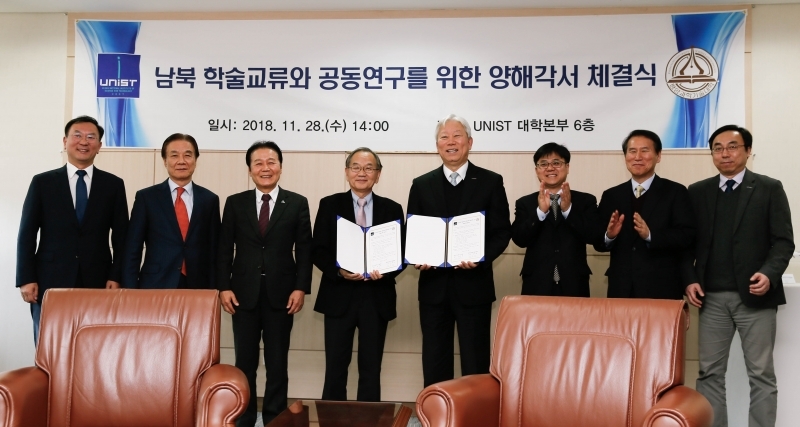 On November 28, UNIST signed a Memorandum of Understanding (MoU) with Pyongyang Science and Technology University (PSTU) to pledge mutual support for one another in the pursuit of academic excellence. In the memorandum of understanding, the two organizations promised to promote shared interests in various science-based academic initiatives. Besides, in line with the government’s policy direction towards North Korea, both parties will explore strategic directions for the advancement of inter-Korean relations in the areas of science and technology. 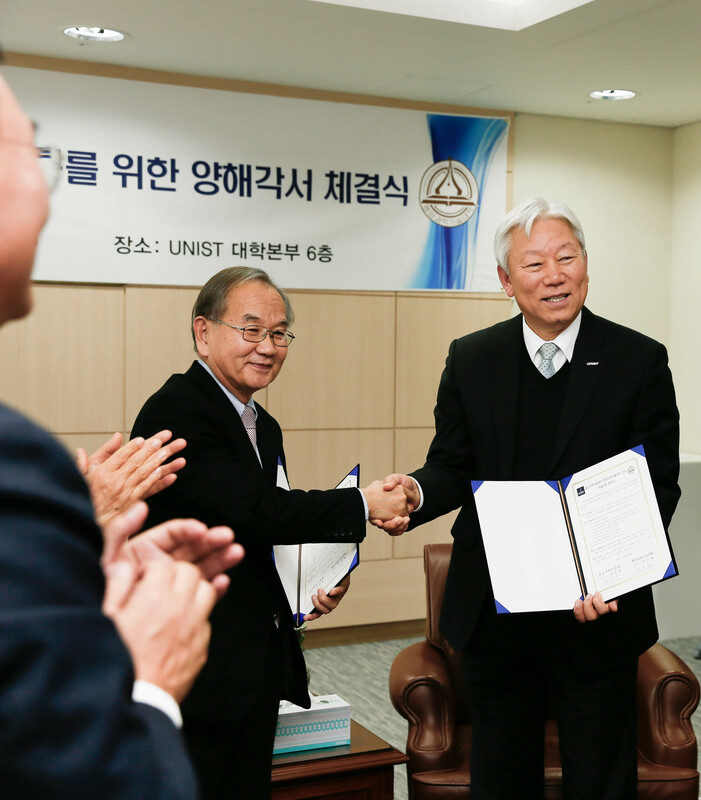 The scope of this MoU between the parties shall also include, but not limited to, the following areas: △ Exchange of faculty and students, △ Organization of joint workshops and conferences, △ Cooperation within any field related to science and technology of mutual interests, △Exchange of academic publications and reports. The key areas of cooperation include Biomedical (Genome, New Medication, Smart Public Healthcare System), International finance (Northeast Asia Oil Hub and Energy Trading), Smart Manufacturing City Projects along the East Coast of South Korea, Climate Change‧Disaster Management, and Renewable Energy. Jointly established by the Ministry of Education of North Korea and South Korea’s Northeast Asia Foundation for Education and Culture (NAFEC), Pyongyang University of Science and Technology (PSTU) is the first and currently only privately-run university in North Korea. The university opened its doors to the first 50 graduate students in October 2010, and today, PUST has about 560 students, including graduate students. Programs offered at PSTU are Agriculture and Life Sciences, Electrical and Computer Engineering, Foreign Languages, and International Finance and Management, and Medicical Sciences.